Captain Joseph Thomas made the Bridal Path for the first settlers to walk down from Lyttelton to the Heathcote Valley into Christchurch. The path was narrow and steep in parts, and was also very narrow in the middle. The names of the first four ships were Charlotte Jane, The Cressy, The Randolf, and The Sir George Seymour. The ships had many people on board from England, Scotland, Wales and Ireland. The Bridal Path was built during September and October of 1850. Captain James Thomas cut the track. It was tricky to cut as there were many trees and rocks on the Port Hills. Why did they make the Bridal Path? The first settlers who came to New Zealand wanted a road from Lyttelton to Christchurch to walk on, but the road was not built, so the settlers made a track so they could walk through the Port Hills to Christchurch. Who used the Bridal Path? The first settlers who came to New Zealand sailed from England. They arrived in Lyttelton and walked the Bridle Path with their possessions to Christchurch. In September/October, 1850, the walkway was cut by Captain James Thomas just in time for the first settlers who sailed from England on the first four ships. The Bridal Path is an important landmark in Christchurch because it is a quicker way to travel to Christchurch from Lyttelton on foot. The path is made from clay and stone, so when it rains it is very slippery and dangerous. The Bridal Path can get foggy at the top, and when the first settlers were walking on it, it was a very hard climb as they were carrying all their belongings in heavy wooden trunks. 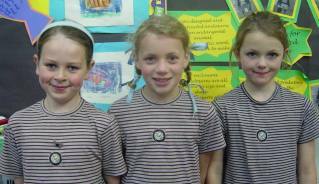 This page was made by Jessica, Winnie, Clemetine and Jessie (absent from photo).